Casey here: one of the writers and authors I have loved getting to know since I moved out to Colorado is debut novelist, Brandy Vallance. I am thrilled to have her here at The Writer's Alley today, talking about her journey and how far God has brought her from beginning writer, to winner of the Jerry B. Jenkins Operation First Novel contest and now a published author with Worthy Publishing! Welcome, Brandy! No one understands writers like writers. It is vital that you find a support group of people who get you. You might find these writers in a critique group, at a conference, or at a local writers meeting. No matter where you find these friends, find them as fast as you can. You will not survive on your own. Every writer has moments of thinking they can’t go on. You will need other writers to talk you off the ledge when those moments come. 2. It takes time to develop a thick skin. I have long suspected that all writers feel deeply. We are the thinkers, the ones who explore what it means to be human. Are you writing scenes that make you feel? If your writing makes you feel it will do the same for others. However, if you’re going to write this true and deep, you’re going to need a thick skin. This doesn’t happen overnight. I once received a critique on my writing that shattered me. It was early in my writing journey. After I read that critique, I didn’t write for six months. But I’d be lying if I told you that experience didn’t make me stronger. After six months and one day I had to reach deep down and affirm that I was a writer. I believed in my story and I was going to push on. After experiences like this you start to know yourself. You know who you want to be as a writer and then when criticism comes you’re able to shake it off. It takes a while to get over the fear of other peoples’ opinions. But after some time is behind you, opinions don’t matter so much anymore. All those magic hours that you have spent with your manuscript start to tip the scale. Your story is no longer just words on your computer, it is alive for you. Your characters breathe and speak—so real, almost as if they could walk through your front door. And no one can take that away from you. This is one of the best gifts. God is doing a work in you. Some of my writer friends and I have a running conversation. We have come to the conclusion that God works parallels in our lives that show up in our stories. Sometimes we can’t write a book until we’re strong enough, until we’ve gone through something hard. Unfortunately, this is painful and it takes time. But the more wisdom you gain, the smarter your stories will be. So live life beautifully and well. Stay in the fight. 4. It won’t be so hard the second time around. When I started my second novel, I was worried that I’d have to go through what I did with my first. But something amazing happened, I knew things by heart. It was like muscle memory. With the eleven drafts of The Covered Deep, I had learned a lot. Every experience as a writer is a building block. Every class you attend, article you write, or time spent researching is a stepping stone. 5. It takes a lot of weaving before you have a tapestry. I think of every draft of a novel as weaving a tapestry. It takes a lot of passes before the picture is just right. When you finally weave those last threads, your story becomes a magnificent thing. I’m not saying you have to do eleven drafts, I’m just saying that the only way you can tell if your story is finished is if you feel it in your bones. During your road to publication, have faith that God is the best storyteller, and that He is telling yours. He is intimately acquainted with all your details, including the details in your novel. It was no accident that I decided to make my heroine’s dreams come true by means of a contest, and then God made my publishing dreams come true by means of a contest as well (Operation First Novel). God is always paying attention. You are not forgotten. When your publishing contract finally does come, I hope you’ll be able to look back and hold your valuable journey close. How has your writing journey been? What have you learned? What are you learning now? 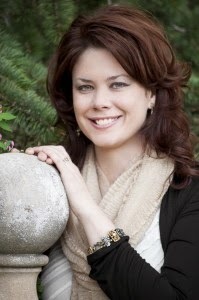 Brandy is a member of the Christian Writers Guild, American Christian Fiction Writers, and Pikes Peak Writers. She is the 2013 winner of the Christian Writers Guild Operation First Novel Contest which included a publishing contract for The Covered Deep by Worthy Publishing. 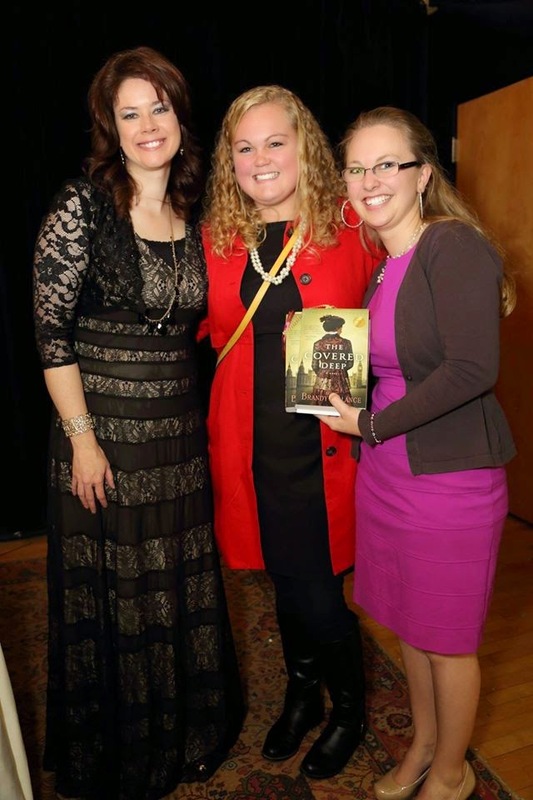 In 2012, she won the American Christian Fiction Writers Genesis Contest for historical romance. In 2011, Brandy was a semi-finalist in the Genesis Contest. In 2009, Brandy won honorable mention at the Pikes Peak Writers American Icon contest. Every time I read about another writer's journey and story as a writer, I glean new grace for the journey. and I feel a sense of comradeship, know I'm not alone in my experiences! Thank you for sharing! Hi Brandy & Happy Thanksgiving to you all! Wonderful post! My journey took almost as long as yours! I especially love your tapestry analogy! So true. This was the perfect post to read today. I am so grateful to have found this place. Brandy, thank you. Like Kelly, this was the perfect post for me to read today. I have put my writing aside for a time, because I felt like God was telling me I had made an idol of it. But I've been feeling the itch to write again and yet I can't seem to take the step to start back. I keep remembering the rejection and question whether I can handle that over and over...which I know is part of the journey. So thank you for your words. They were an encouragement that I've needed. I love this encouraging interview! Thank you, Brandy and Casey. I think this was my favorite line: "I’m not saying you have to do eleven drafts, I’m just saying that the only way you can tell if your story is finished is if you feel it in your bones." 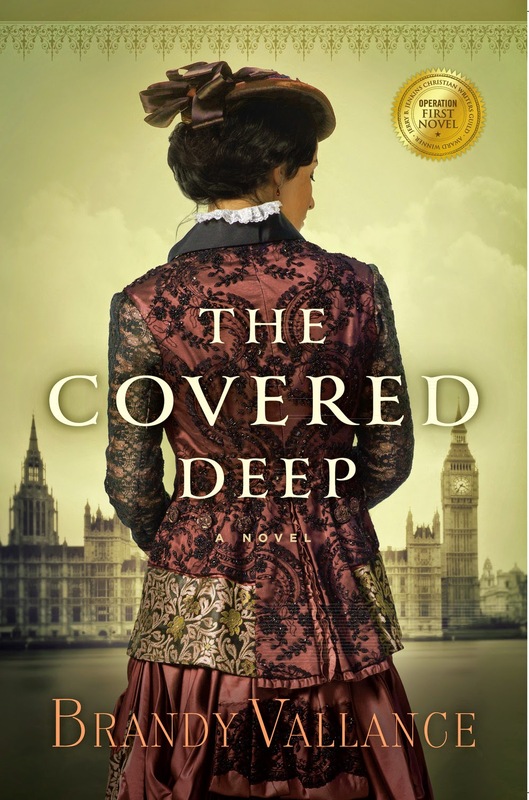 I so enjoyed The Covered Deep and look forward to your next book(s)!